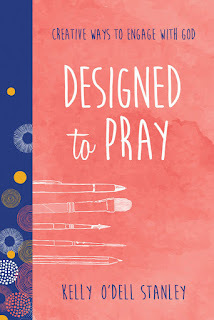 Creative Ways to Engage With God - Designed to Pray is an eight-week adventure that will infuse passion and creativity into your communication with God. Kelly intends to help people who think prayer is an "exclusive language reserved for holy men and women clothed in velvet robes and large hats, intoning grand words in powerful voices." Her book is for anyone who is looking for a way to simmer on scripture and focus on prayer more creatively. 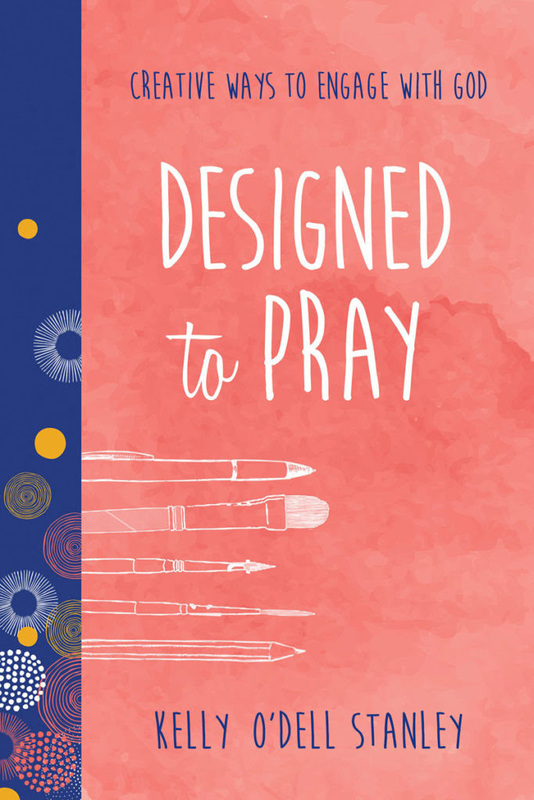 Designed to Pray is a way to visualize the words of scripture through: praying, writing, drawing, and exploring. I absolutely love this book!! It has made my prayer time and life so much more meaningful. As a creative person, I've so enjoyed doing the different activities that bring my God-given creative talents into my time of praying to Him. This is an eight week book that will spark your creativity and your conversation with God. There is a small reading and activity for each day and each one builds on the previous. There isn't a lot of pressure with this book and that's what I loved about it. It's really about having a relationship with God through our prayers and creativity. I really love that the author emphasizes that there shouldn't be pressure when doing this. This book has become my prayer journal and I've enjoyed doing the activities as well as focusing on my prayers in a new way. There are several areas where you can color in the already printed pictures and that has become a quiet time activity for me. I haven't finished picture in one setting but have used it as my activity to do when I am really focusing on my most heart-felt prayers about things that are bothering me most. This book has brought new life into my prayer life and I have loved that I can take my time going through each day. I really love this book and I believe you will, too. I highly recommend this book and give it 5 out of 5 stars. I have a copy of this wonderful book to give away! Please leave me a comment on this post to be entered into my giveaway and be a follower of my blog. I will pick a winner randomly next week. My "one word" for 2017 is PRAY and I'm continually seeking new resources to expand and infuse my prayer life. This book looks awesome and I am definitely going to add it to my collection! Many thanks for this review for sharing this book with us! This looks like an amazing book. Thanks for entering me in the giveaway. I'm wanting my prayer life to be richer. I would love this book!